13.30 Lecture “Natural Movement” – open to violists of all ages and levels! (interactive, so bring your own instrument!) -> sign up here ….! If you would like to attend the interactive lecture “Natural Movement”, please register now through our online inscription form so that we can better anticipate how many people are coming. 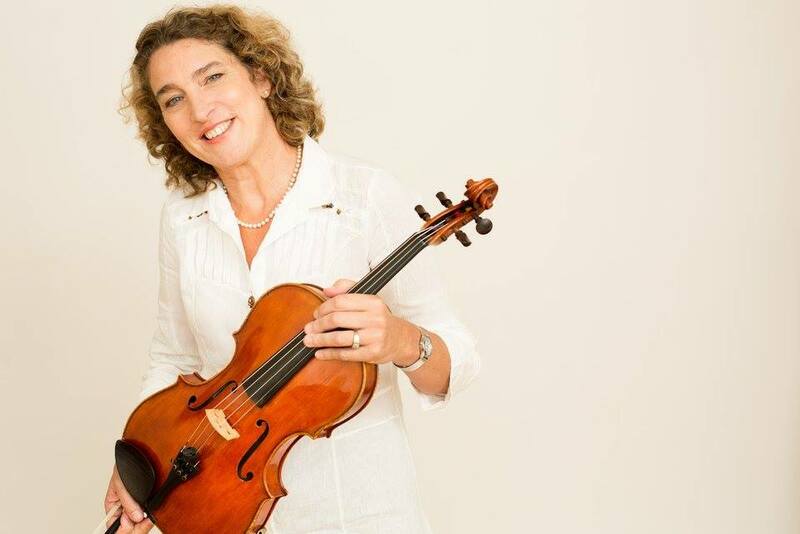 The Viennese-born violist Jutta Puchhammer-Sédillot, former student of Siegfried Führlinger (Vienna) and Heidi Castleman (USA), is described as a violist of exceptional qualitity. She is full time professor of viola and chamber music at the University of Montréal, Canada, as well as on the faculties of the Orford Arts Center (Quebec),and The Heifetz International Music Institute (Virginia) ), the North American Viola Institute (NAVI) as well as the TTT Project (teach teachers teach) in Villaricca,Chile and also has taught at the Perlman Music Programm (PMP) . Jutta has a vast experience in chamber-music, having been part of the Quatuor Claudel String quartett, The Kegelstatt Clarinet/vla/pno Trio, The Montreal String Trio, The Wiener Nonet, the Ensemble La Piéta and actually the Ondine Piano Quartett and the Puchhammer-Desjardins Duo (vla/pno). Her participation at diverse festivals have permitted her to play with various artists of international reputation. Jutta is the principal viola of the Laval Symphony orchestra, Canada, and the Vice president of the International Viola Society. She has been awarded the Maurice Riley prize for international achievement. Highlights of the 2015/16 season will include the finalization of her réedition of the French “Pièces de Concours” (written from 1896-1940) with the SCHOTT edition in 3 volumes (available autumn 2016), some of which she also plans to record this season. Her performance of the viola concerto written for her by Tim Brady and the Nova Scotia Symphony orchestra will appear on CD this autumn 2015, as well as the recording of the G.Fauré, R. Strauss, and A. Dvorak piano quartetts with her Quatuor Ondine this Spring 2016. This season Jutta has been invited to give masterclasses at the Juilliard School of Music, the Curtis Institute of Music (USA), The Hautes Ecoles de Musique de Genève (HEM) and de Lausanne (HEMU) as well as the Conservatory of Rotterdam (Netherlands), and will be giving a conference and recital for the Dutch Viola Society in Dordrecht, Netherlands. This entry was posted in Nieuws, Workshops and tagged altviool, codarts, Dordrecht, DVS, Puchhammer, viola, workshop by DVS. Bookmark the permalink.